is one of the most vital, strategic resources any organization possesses. demands the attention of all levels of any organization. maintain, and access needed information and properly dispose of the rest pays off in cost savings, efficiency, regulatory compliance, and reduced litigation risk. 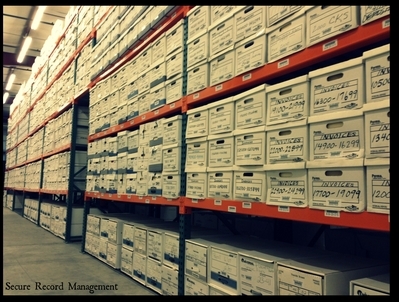 There is no smarter way to protect your records than	by storing them with Secure Record Management. No matter the size of your organization, we can provide both the storage space and the services that you need. 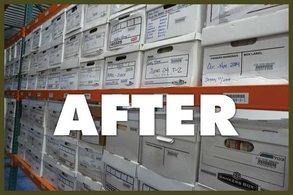 We will come to your office or storage facility, pick up your records and input your container numbers into our system. At your direction we will index every box or every file into our computerized tracking system, giving us the ability to locate any file you need, when you need it. Standard Delivery - Contact us before 4pm and we will deliver your requested files the next business day. Same Day Delivery - Contact us by 11am, we will deliver your requested files by 5pm. Guaranteed 3 hour - We guarantee that your requested files will be delivered with-in 3 hours. 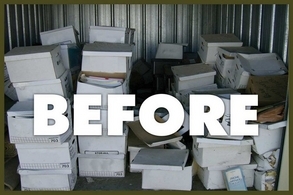 Will call - Contact us and your files will be ready for pick-up in 24 hours.